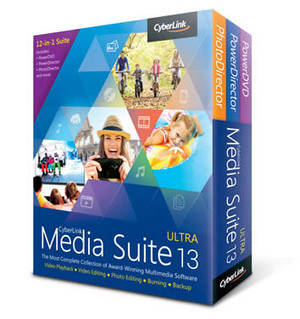 Featuring CyberLink’s collection of multi-award winning software, plus powerful mobile apps, Media Suite 13 Ultimate truly is the most complete multimedia software collection. Comes with FREE Power2Go 10, a media burning & backup software. Windows 10 does not natively support DVD or Blu-ray playback. 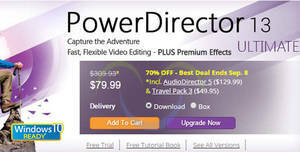 PowerDVD has you covered. Featuring three best-in-class media editing and playback applications – PowerDVD, PowerDirector, PhotoDirector, alongside trusted utility software Power2Go and MediaEspresso for disc burning and media conversion.